Terri, I’m so happy my chickadee is being received so well and making its way into stamp clubs. I was hoping to inspire, so you just made my day! Thanks. 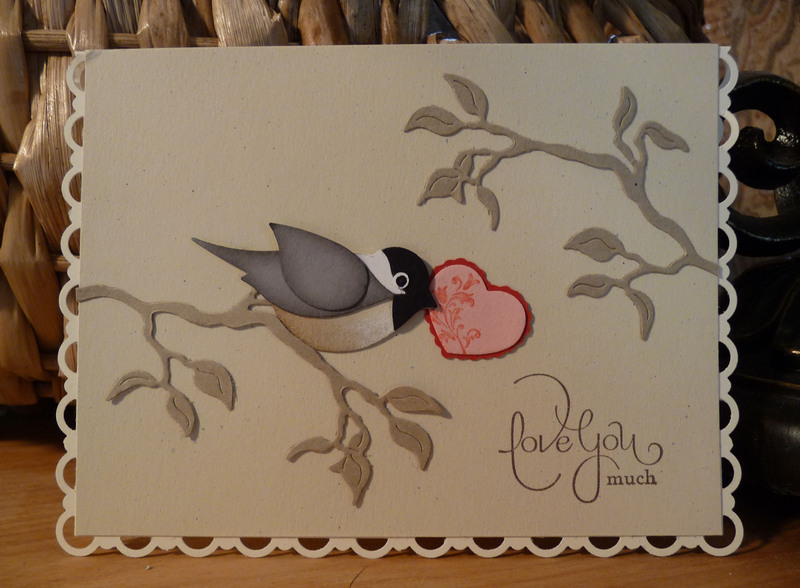 Ann, Your chickadee blew my stamp club ladies away! I made a card similar in format (I didn’t have the branch die or the new border punch) to show them. We didn’t have time to make this so I printed off your instructions. They loved it! Thanks for generously sharing with us.